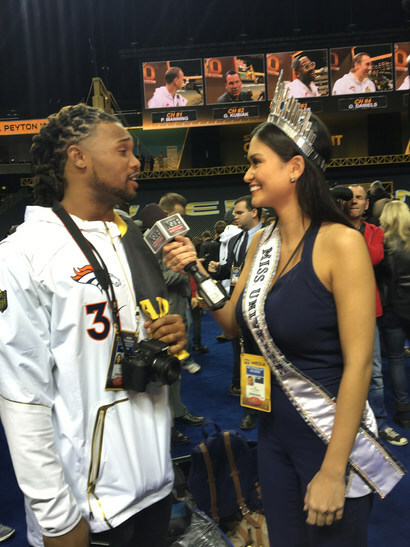 Miss Universe 2015, Pia Wurtzbach interviews a player from the Denver Broncos at Media Day during Super Bowl 50. 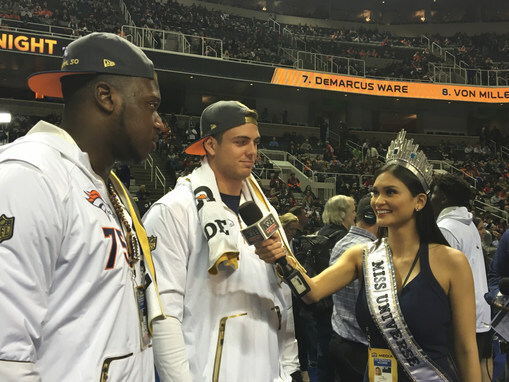 Miss Universe 2015, Pia Wurtzbach interviews players from the Denver Broncos at Media Day during Super Bowl 50. Destiny's Child singer, Michelle Williams meets Miss Universe 2015, Pia Wurtzbach during Media Day at Super Bowl 50. Miss Universe 2015, Pia Wurtzbach doubled as a Inside Edition special correspondent at Media Day for Super Bowl 50. Miss Universe 2015, Pia Wurtzbach tries on a New Era hat at Super Bowl 50. Miss Universe 2015, Pia Wurtzbach practices throwing a football at Super Bowl 50. 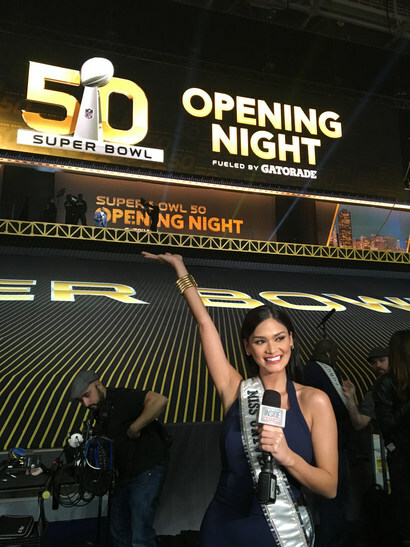 Miss Universe 2015, Pia Wurtzbach arrives at Super Bowl 50 in San Francisco. Miss Universe 2015, Pia Wurtzbach gets a lesson from the Denver Bronco's cheerleading team. 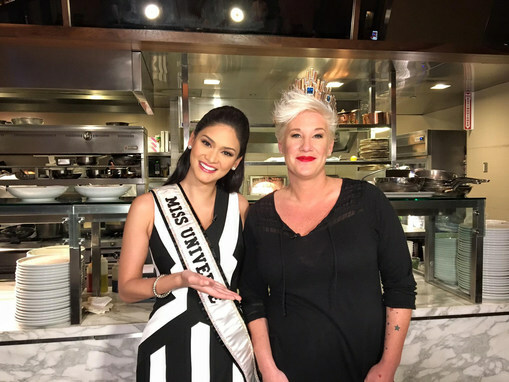 Miss Universe 2015, Pia Wurtzbach makes some Super Bowl treats with celebrity chef, Anne Burrell.